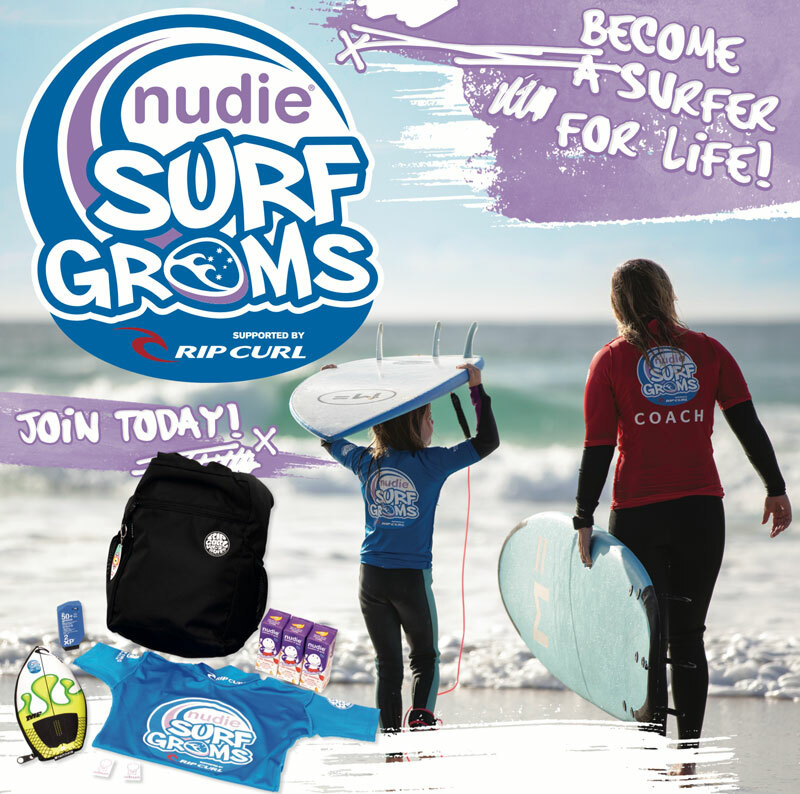 Learn to surf with nudie SurfGroms! We offer great kids lessons year round. 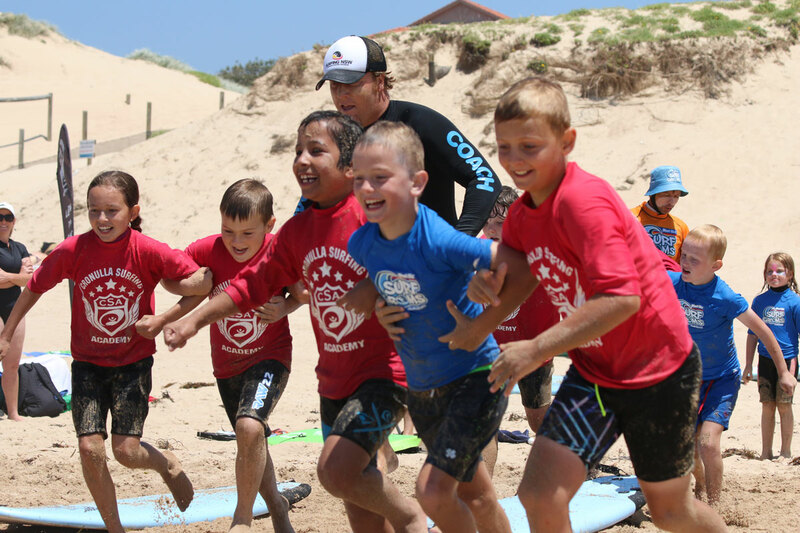 Learn to surf in a fun and safe environment with Cronulla's best surf coaches. With all the equipment included our kids surfing lessons are a great way to build confidence at the beach and learn great surfing skills. New to surfing? You have come to the right place. 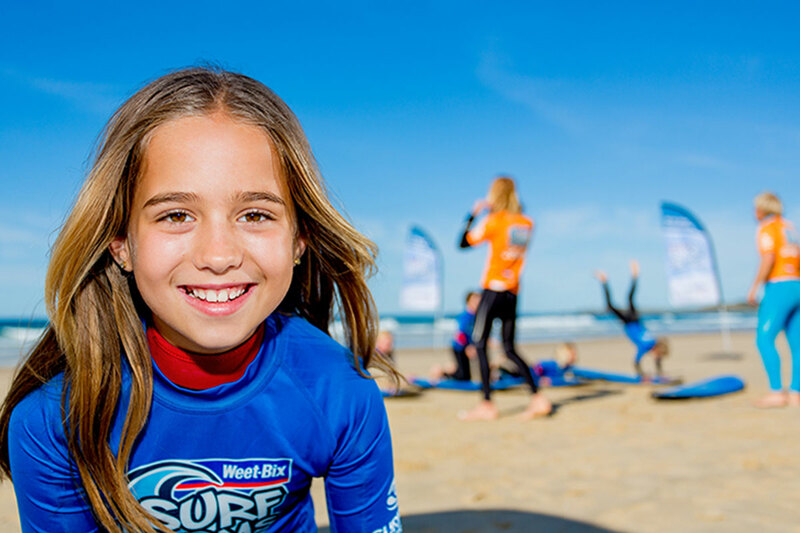 Our nudie SurfGroms programs are designed for kids aged 5 years – 12 years. For Beginners through to great little surfers. Blake and his team of experienced surf instructors run CLASSES DAILY for kids come rain or shine, even in winter. 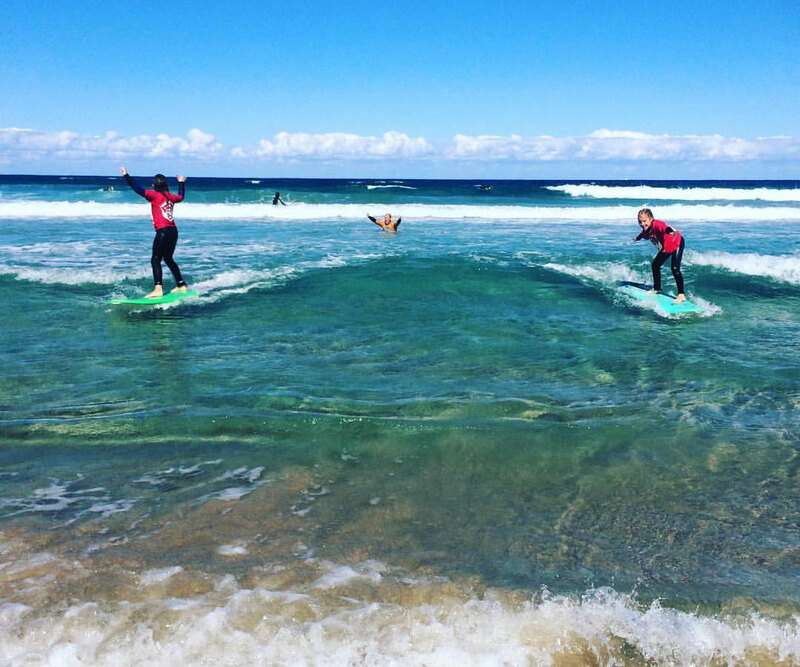 Our nudie SurfGroms programs are available as an 8 week afterschool programs, consecutive weekend sessions (booked around the low tide), and intensive 4 day holiday programs. We can also arrange small private groups if you would like to surf with your friends. 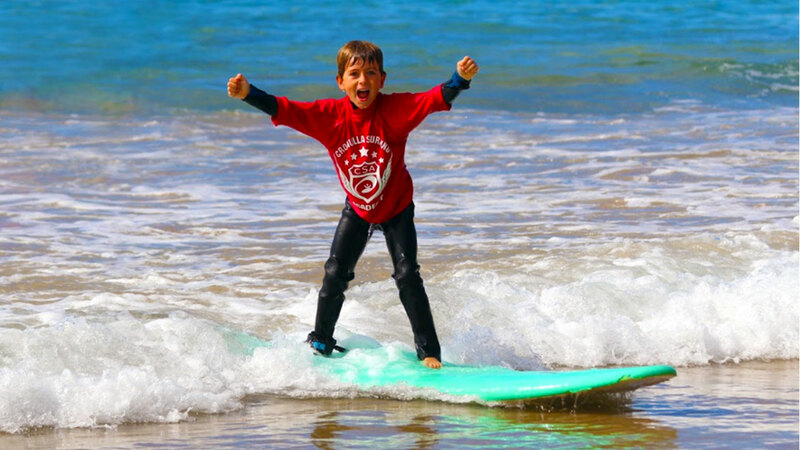 All kids are provided with the right surfboard, wetsuit and placed in the right ability group to get them having the most fun and learning quicker. When you are ready to progress to the next stage in your surfing we have our Next Level Programs. Our coaches will let you know when its time for you to move into this group.